I’m enjoying a lot going around the vicinity of Manav Parivar in Matar where they have Free Medical Camp. I saw the cooperation of each and everyone. I decided to see their kitchen department. I saw a lot of people helping each other to finish as fast as they can all the work, the preparing of food, the cooking and everything. 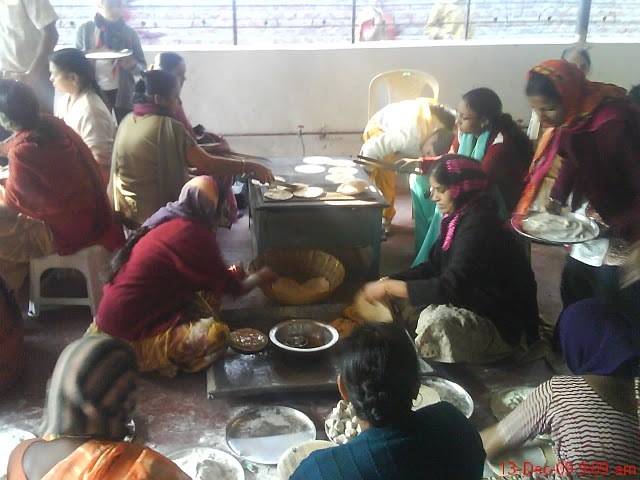 These group of women volunteer were helping each other to prepare all what should be serve to everyone. While I’m looking at them, I saw all their effort as they have the first step don’t when preparing food. They don’t talk much as they were busy doing their work. After some time looking with the women volunteer there, I went to the other group of men volunteer who were responsible for the cooking. This was the way they cook the food. This was not an easy job but they don’t mind any hardship with it. Same thing with the group of women volunteer I saw, this group were also busy. They made sure that their cooking will be perfect as thousands of people are going to eat it. I’m having a busy time viewing everything there. Finally, the food were ready to distribute. They were just getting ready with all the things that will be using. All the food that had been prepared and cooked were place in the table. All they have to do is fall in line and take a food from them. 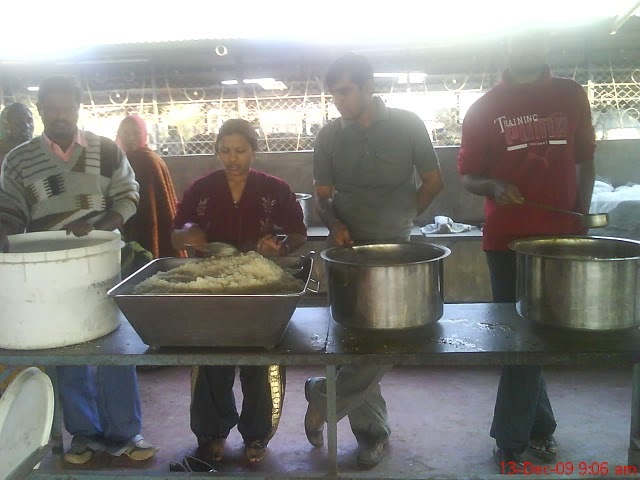 This group of volunteers were expert in giving the people the amount of food so that all can eat. No one go outside the Manav Parivar without taking their food. It’s a very good cooperation and coordination with each other. I’m sure that there is one person who manage everything in here. My high compliment to that person who ever he is. Good thing that I visited the Manav Parivar. Keep it up, God Bless all the people who participated there, gave their free service to make this organization an inspiring one to others.